Over the past few years, there have been several instances where incentive compensation programs are believed to have motivated questionable employee behaviors which have resulted in significant damage to company reputations. It is apparent that incentives are a key tool that corporations utilize to achieve objectives, but with recent discoveries, it has become critical that boards of directors carefully consider whether these programs pose significant risks to the organizations. Not only should a board monitor and adjust (as necessary) these compensation plans, they should also ensure that these programs are aligned with the company’s key objectives. 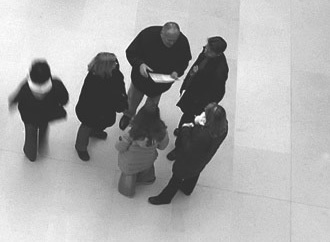 Beginning in 2010, the SEC required risk reviews and proxy statement disclosures if the “features of a company’s compensation policies and practices have the potential to incentivize its employees to create risks that are reasonably likely to have a material adverse effect on the company.” Although no public company has disclosed this about their incentive programs, board members should spend more time questioning the risks of their incentive compensation and considering whether their companies should require a more complex evaluation process of these risks. Compensation Philosophy: Companies should have a philosophy that clearly explains how incentive awards will be used to compensate employees. The company’s pay program should then be based on this philosophy. Pay Mix: Compensation can vary among employee levels and it is important for compensation committees to question management on whether the pay mix links pay to performance and if the “at-risk” portion of pay is appropriate for each employee level. Performance Measures:The performance measures that a company elects to award incentives should reflect the goals and objectives of the company. It is advised that organizations use a mix of financial and non-financial measures. Performance and Payout Curves:These curves should represent the relationship between employee performance and the corresponding incentive plan payout to plan participants. Performance curves and goals vary depending on performance measures. Compensation committees are then able to evaluate the plans at each level based on risk, performance, and reward. Goal Setting:Incentive goals are set in three ways: relative to the company’s budget, relative to a peer group, or a “fixed standard.” It is the responsibility of the compensation committee to determine the appropriateness of these goals. Goals cannot be too easy, as it may result in a surplus of incentive payouts, but they also cannot be too aggressive, where employees feel pressured to make irrational decisions. Calculation and Verification of Performance:A reliable system should be set in place to accurately capture and calculate the performance of employees. Additionally, a company should have some way of verifying whether the calculation is correct. Participant Communication: Upon review of the incentive plan, the compensation committee should question plan participants on whether they fully understand the details and how their performance directly correlates to the plan goals. General Oversight:Corporations should have a system and correlating processes in place to govern the operation and administration of their compensation plans. In addition, this system should define the role of management and every other employee involved in the incentive plan administration. Incentive compensation plans should be assessed and reassessed every year by an organization’s board of directors and compensation committee. Throughout these assessments, the board should look for any risks that could cause a materially adverse effect on the company in addition to any employee behavior that could have damaging consequences on the company. Over recent years, these incentive compensation plan assessments and risk reviews have played a major part in the board’s oversight role, and it is looking like they are only going to become more significant in the years going forward.